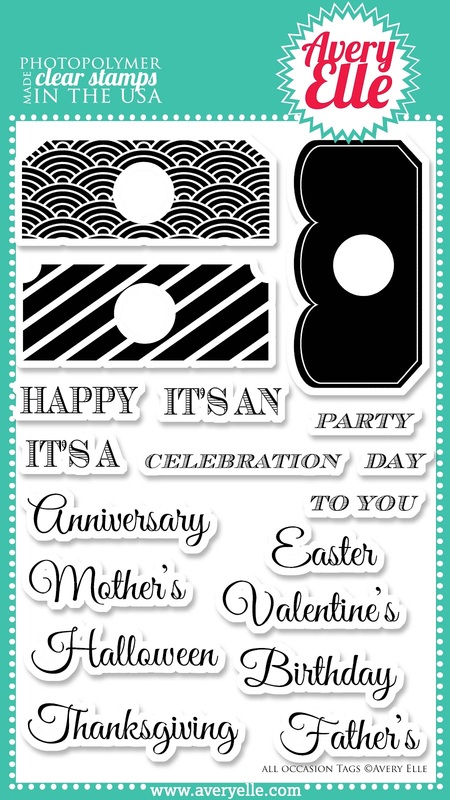 This set has a ton of great sentiments, but the stamps you NEED are the fantastic tag topper images! These toppers make it easy to make custom-sized tags to match your sentiments. 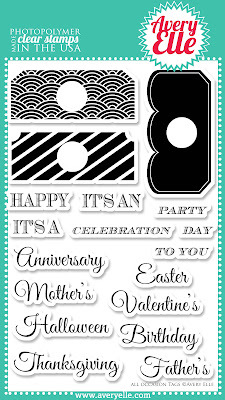 For this card, I paired the variety of tag toppers with sentiments and images from Lots of Love:) So much fun! I'll be back tomorrow with the Group Post! Don't forget that Jamie is offering the chance to win a $25 store credit! All the details are on the Avery Elle blog! 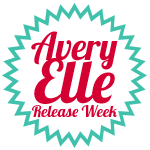 The new release items will be available to purchase on December 5th on the Avery Elle site! More awesomeness! I love that Valentine's card and a set that has so many different sentiments for different occasions - perfect! As usual, your creations are wonderful. JJ your tags are just fantastic, beautifully done. I love that first card JJ, so fun, great design! 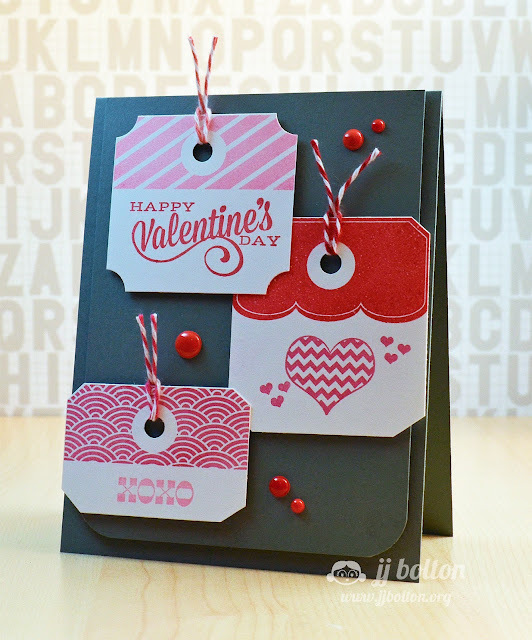 sweet use of this tag set...love the first card. Super cute card and package! I love these, JJ! 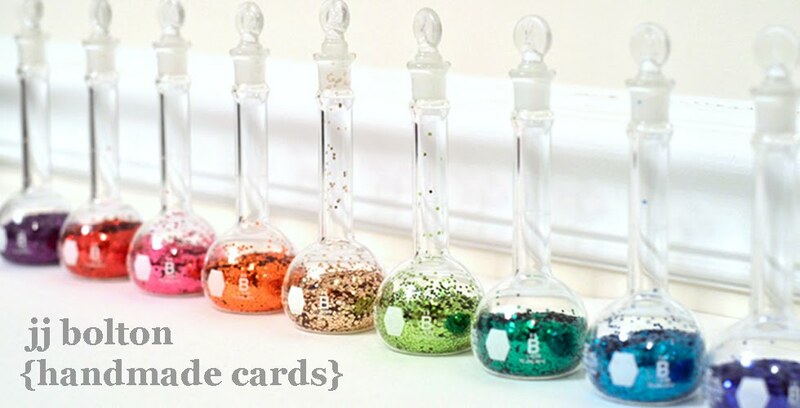 You have such a way with color, totally cool projects today. JJ, I love your double sided tag! I am definitely going to have to copy this one! You are an amazing talent! What fun projects. 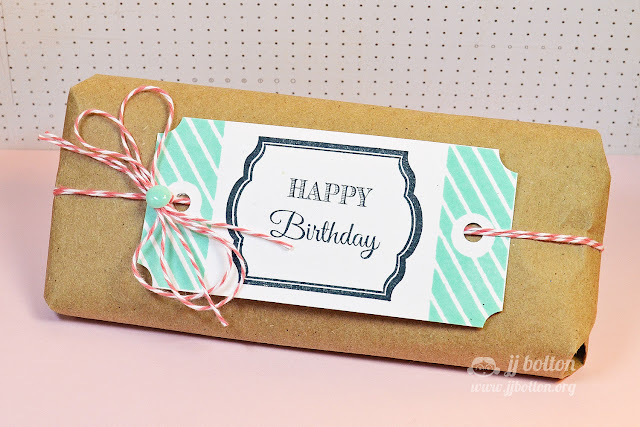 I love the gift tag design and how you tied it. Love how you have used these stamps! The tag on your packaging is brilliant! I always hate it when the tags flap around the package and often end up getting bent. This is perfect though, just strap it down on both ends. Looks great too! Awesomeness! Love the tags laid out together - and the 'candy spots'? or whatever they're called :) And the double-sided tag is too cool! tags...I LOVE tags...onto my wish list! Love what you've done! These are brilliant - what a quick easy way to make a tag!